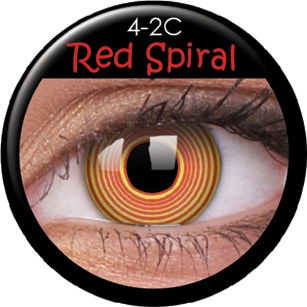 magnetically scary with the Red Spiral Lenses from cococontacts.com. As part of our theatrical lens line the Red Spiral lenses are sure to give the effect of hypnosis if that is what you're after. The immediate look of the lens is orange but this is due to the yellow colour in between the red lines of the actual spiral lines.